The PSFA (Peninsula School Feeding Association) currently feeds in excess of 24 000 children from poor communities at 119 Cape Schools on all school days. The food provides at least 15 percent of a child’s recommended daily allowance for energy and 40 percent for protein. MM has teamed up with the PSFA to help their initiative and to facilitate the feeding of more needy children. As part of this outreach, MM are very pleased to announce that for every conveyancing instruction we receive from an estate agent, we will, in collaboration with the PSFA, sponsor one more hungry child for a period of 6 months, who will in then be properly nourished. 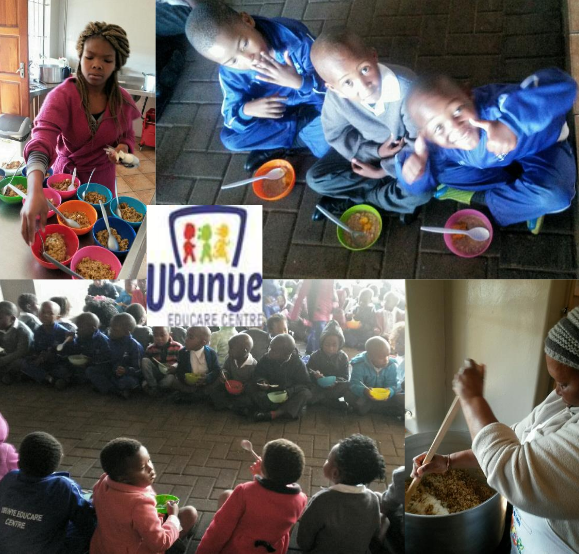 Ubunye Educare Centre in Du Noon started their feeding program with Peninsula School Feeding Association on the 3rd of May 2016. Apart from the food items, the school also received items such as pots, cutlery, plates, spoons, cutting boards, gas, etc. Join us at our Annual event on Youth Day 16 June, for a fun morning on the beach. Walk or run, just be there in support of Miles for Smiles, a Cipla initiative. With your support we hope to cover the costs for four corrective surgeries! Medals to all finishers. Prizes to winners in primary school & high school categories. Lots of lucky draws and give aways. Coffee, breakfast on sale. At the MMTA we are aiming to contribute to the upliftment of final year underprivileged scholars who are finding it difficult to secure acceptance into a college/university or even a possible vacancy in the private sector and wanting to engage in a career in the legal field. Each year we identify 4 students who would like to further themselves in the various aspects in the field of law. The duration of the training is one year. We are on the panel of most of the major banks and act as first line attorneys for a large number of reputable estate agencies including Pam Golding Properties, Seeff, Homenet and ERA. We are particularly acknowledged for our contribution to the estate agency industry in terms of training and education. In this regard our senior partner, Mr. Milton Koumbatis, was honoured by an award from the Institute of Estate Agents as the “The most supportive legal expert”. Our Internet site contains numerous articles written by us for the benefit of all our clients and again demonstrates the extent of our property law expertise. Currently Mr. Koumbatis conducts his lectures on a quarterly basis. Please phone our marketing department to book your seat.